What are those, you ask? Accoutrements are small bowls (usually with equally small spoons) in which to put accompaniments (mustard, jams, olives, et cetera). If you throw a sit-down or buffet dinner parties, they’re critical to your service; if you’re putting out an informal spread, they can come in handy for dips, olives, candy, or catch-alls for those pesky shrimp tails. If you don’t throw parties? Accoutrements are useful for a bunch of different things. So, even if you don’t formally entertain, here’s why everyone—especially gentlemen living alone (I’m serious—every guy I’ve turned these on to has asked me ‘where have these been all my life?’)—needs at least one set of accoutrements. Where to find them? Pier 1 or anywhere that sells formal dining pieces. Peanuts, pretzels, candies, olives, croutons, for example. Prevents you from opening up that bag of Hershey’s Kisses and eating them all. Reflective of the more proper use, they can sit on the corner of your plate and hold the dip for your chips, the bleu cheese for your wings or the oil for your garlic bread. If they’re not glass, you can stick an accoutrement in the corner of your tub to hold small items, such as foot scrubbers, razors, or that bobby pin you forgot to brush out of your hair. This was my very first set. My friends Suzanne and Adam bought this set of four to accompany a cheese board, glassware, and appetizer plates. These are my go-tos for dips and TV snacks, and right now one lives in my shower and holds my LUSH shampoo bar. All the men in my life walk through the door and empty their pockets of change—usually on whatever hard surface is closest (or, worse, in the bathroom, where the pennies get wet and leave little green rings all over the vanity). An empty accoutrement in the most strategic spot solves this problem. Convenient stash spots for paper clips, thumb tacks, and screws/nails. Easy access to sprinkles for the frosted cookies, picture hangers while you’re redecorating your dining room wall, sequins for that costume you’re making. Movie night: six people seated all over your living room: on the couch here, on the easy chair or even cross-legged on the floor there. Everyone can grab some popcorn or dip to accompany the chips and head to his own space. These were another Christmas Tree Shop win, although I bought way too many–I ended up with 14 of them (they were like thirty cents each). I gave six to one friend, four to another, and kept four for myself. 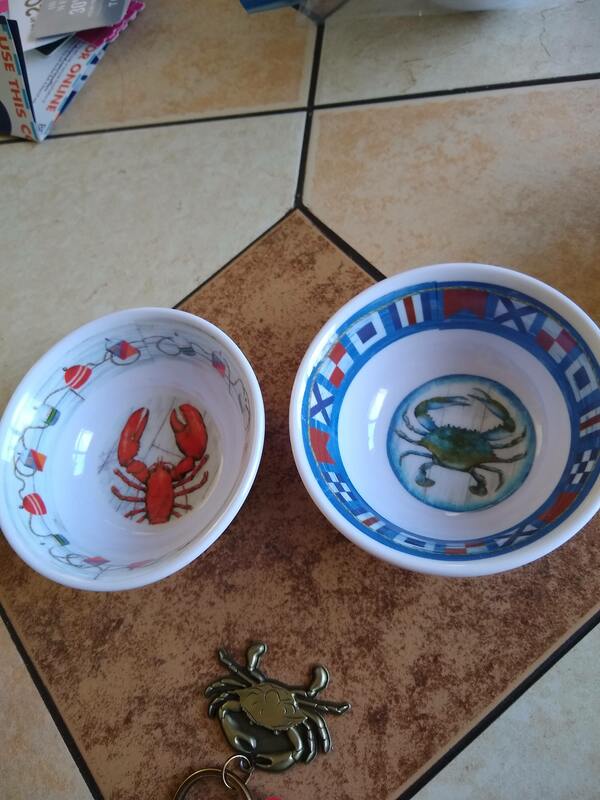 These are new, so I haven’t used these yet, but plan to really use them for summer entertaining–I plan to do a lot of outdoor dining on my deck with friends, and these will be perfect. Do you take off your rings when you shower or wash the dishes? 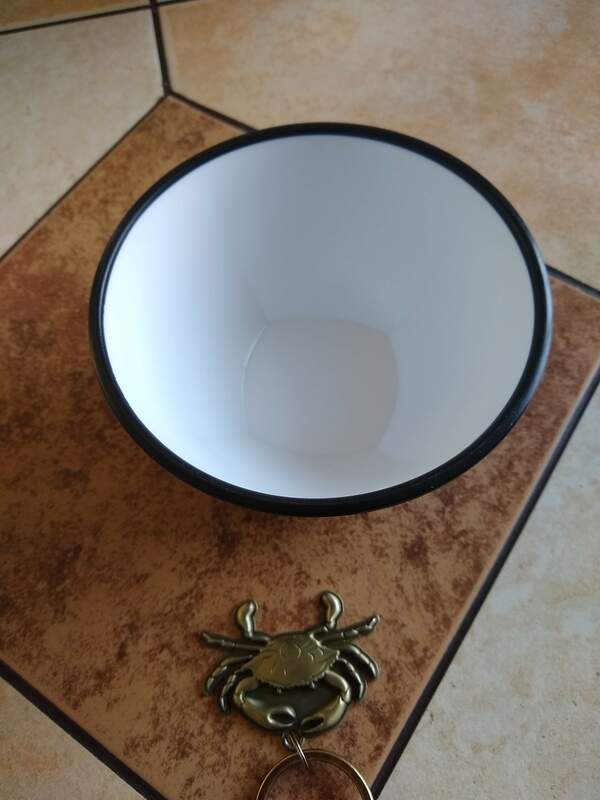 Put your rings in here so they don’t get lost. If you lay out your work outfits the night before? An accoutrement is the perfect harbor for your watch, necklace and earrings for the next day. If you make a mess when you cook like me, you can use these to mete out the ingredients beforehand–then they’re all right there, pre-measured and ready to go. 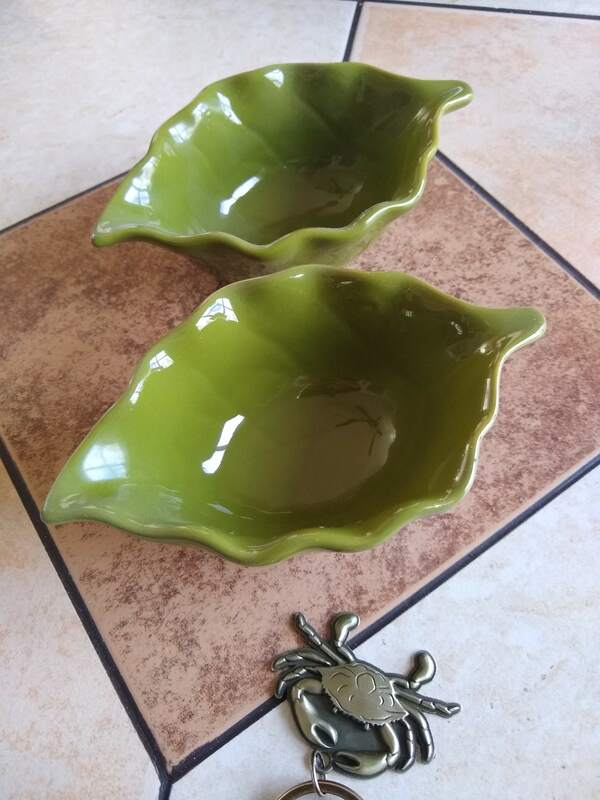 Posted on April 7, 2019, in Deep Thoughts & Fun Stuff and tagged containers for holding small items, dinner party tips, entertaining, formal entertaining, Pier 1, What are accoutrement dishes, what can you use accoutrement dishes for. Bookmark the permalink. 2 Comments. Right on!! There are so many great uses for those little things, and that’s what I love…because if you have something like that that’s cool, it’s a shame to let it sit around and accumulate dust.